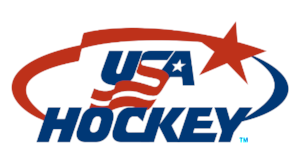 How to Update your SYH profile with USA Hockey Registration number. Every year you need to update your SYH player with the new USA Hockey number. Complete the background screening (found on your affiliate website and some affiliates require approval before you can be added to a roster). Find, register and attend the required certification clinic. (Cost is $45 plus any lunch fees if applicable) You can only attend one clinic per season and all coaches start at Level 1. (The coaching clinic season for Levels 1-3 officially runs from September 1 to December 31). Through the month of August, Massachusetts will be posting more and more clinic dates. Please be patient as the clinic dates posted will increase throughout the month. To ensure that you receive our e-mails, you must add Notification@LeagueAthletics.com, to your e-mail address book! You should also consider adding filters that force all e-mails from domains @LeagueAthletics.com to your Inbox. We've seen examples where people who did not take these steps because they were occassionally receiving our e-mails, later learn that other e-mails had been sent to their Spam/Junk/Trash. has a “No Pay / No Play” policy which will be enforced. If your bill has NOT been paid by payment dates listed in the registration information page.